Romy Mayer will move into a new role in 2019 as she works as race engineer on Kurt Kostecki’s Triple Eight run Super2 effort. Triple Eight will this season expand its operation to include a two car Super2 tilt, with Kostecki and Brenton Grove performing driving duties. Mayer has been Jamie Whincup’s data engineer since late 2015 but was offered the chance to step into a full race engineer role by team owner Roland Dane. “Roland gave me the opportunity, or gave me the choice, if I wanted to do something new and be a race engineer in Super2 or stay with Jamie and (David) Cauchi,” Mayer told Speedcafe.com. 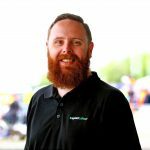 The new role will see Mayer lead Kostecki’s side of the garage, with her appointment underscoring comments made by team manager Mark Dutton who told Speedcafe.com that Triple Eight would use its Super2 program to develop mechanics and engineers. John Russell, who formerly engineered Paul Dumbrell at Eggleston Motorsport along with spells at the Williams F1 team and as Triple Eight’s Director of Engineering and Production, will engineer Grove. “As a race engineer you will have much more responsibility, you will make final decision and obviously take over the responsibility of this decision and it’s not only just deciding on set-up change and race strategy, it’s also leading a whole team and managing it,” explained Mayer. “That means here in the workshop from preparing the car and obviously on track as well. So that will be the two biggest different things from my role at the moment. “For me personally, it will be a steep learning curve to taking over a whole car, being the race engineer, I will get new knowledge and new experience in that field,” she added. “(It’s) not a step down or so to Super2, it’s more like growing in a different field and then obviously it’s good to have the possibility to gain experience and learn. “It’s perfect that Triple Eight decided to get into this a bit too again and I’m really happy I have the opportunity to do something new. 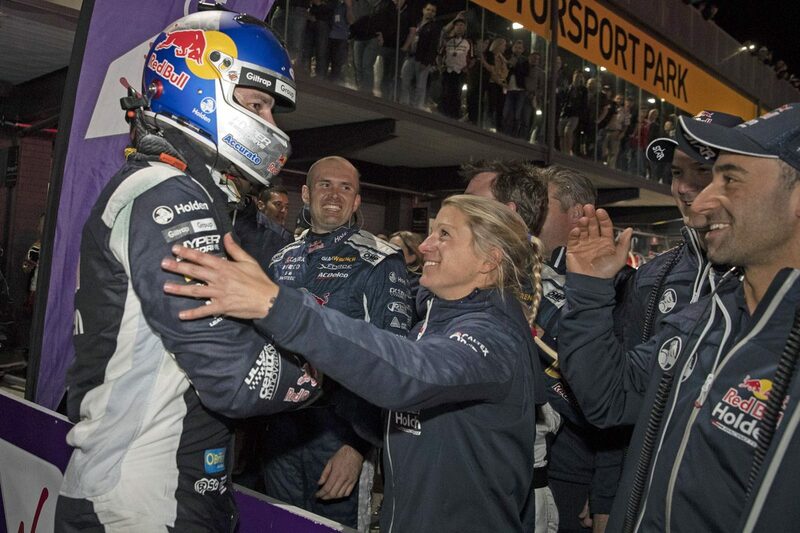 Mayer will also play a key part in Triple Eight’s Bathurst 12 Hour bid, as it joins forces with Scott Taylor Motorsport to run a Mercedes-AMG GT3 for Whincup, Shane van Gisbergen, and Craig Lowndes. Having been involved in the design of the car before joining Triple Eight, Mayer holds unique knowledge heading into the event. “It’s a throwback for me to work again on the HWA GT car and I’m super excited,” she said. “I also can’t wait to see if my former colleagues, a lot of people from Germany will be around with the other team and other drivers. Alongside her role with Triple Eight, Mayer is also an ambassador for Dare To Be Different.